Taking its styling cues directly from the championship-winning CBR1000RR, the CBR300R presents an angular silhouette thanks to the aggressive full fairing. A colour-matched undercowl, dual headlights and steeply raked rear seat unit add to the sleek lines while a re-shaped seat alters the riding position to improve ground reach. Building on the platform of the CBR250R, for the CBR300R the fuel efficient, liquid-cooled, single-cylinder engine has been given an increased stoke to boost the capacity to 286cc. Acceleration has been greatly improved thanks to this larger capacity and the six-speed gearbox’s final drive ratio that has been lengthened for more efficient highway speed cruising. The PGM fuel injection has been remapped with a focus on crisp throttle response across the rev range and a new CBR500R-inspired muffler design with larger internal volume adds big-bore style and a pleasing exhaust note. A steel diamond twin-spar frame provides the backbone of the CBR300R’s chassis and features a balance that is carefully tuned for both a sporty feel in corners and stability at speed. Telescopic forks and Pro-Link rear monoshock provide well-damped, reactive suspension that transmits plenty of feel to the rider. 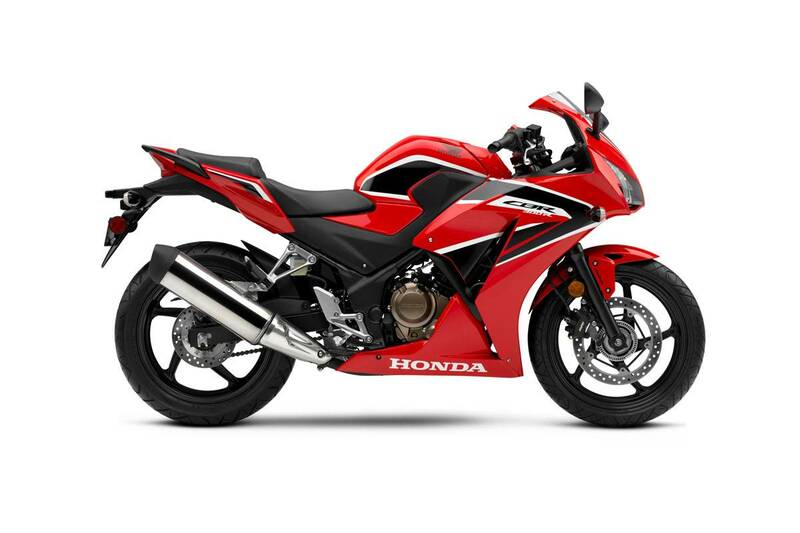 For powerful yet controllable braking performance, the 2017 CBR300R comes standard with lightweight Anti-Lock Braking System (ABS). Ideal for learner riders, the CBR300R is LAMS approved (learner approved).